How much is Shashi Kapoor Worth? Shashi Kapoor net worth: Shashi Kapoor is a popular Hindi film actor and successful producer who has a net worth of $80 million. Shashi Kapoor earned his net worth by acting in many roles during his long acting career in Hindi Film industry. Shashi Kapoor or Balbir Raj Prithviraj Kapoor was born on March 18, 1938 in a well known family of Calcutta or at present known as Kolkata. He is both an award winning Hindi film actor as well as successful film producer. He also worked as a director and assistant director in Indian film industry and proved himself very versatile in this entertainment industry. He is also a member of renowned Kapoor family that has produced many acting talents for the Indian Film industry. This family is also known as the destination of India's Bollywood. Shashi Kapoor was greatly influenced by his family members because he is the younger brother of the most popular Hindi film actor Raj Kapoor and Shammi Kapoor. He is also the son of Prithviraj Kapoor. These people are the well known personality in Hindi Film industry since its establishment. Due to these reasons, Shashi Kapoor has ruled in the Hindi films as a front line actor in large numbers of movies. Shashi Kapoor has also received the chance to act in few English movies, which shows his talent and popularity in this industry. 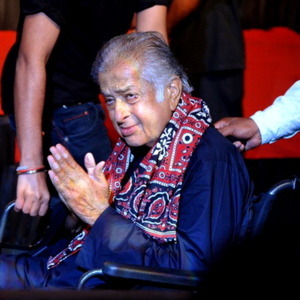 Shashi Kapoor was honored with the most prestigious Padma Bhushan award in 2011 by the Govt. of India. Kapoor received the Dadasaheb Phalke Award in 2014 and became the third member of his family to do so. The award is the highest available in Indian cinema.